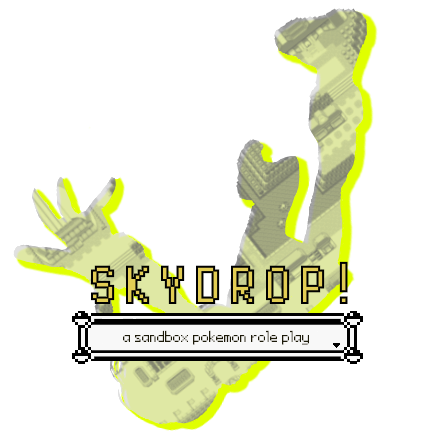 SKYDROP! is an unholy crossbreed between classical Pokemon region traversing, Pokemon Mystery Dungeon, and a Harvest Moon/Town based slice of life role play. We straddle the line between canon and noncanon - while mainverse canon events and characters are welcome here, SD itself is set in an entirely non-canon region located beyond the Ultra Wormholes. With a heavy focus on player interaction and character growth, the Agresti region is designed to grow with its players - who may have as much or as little lasting influence on the region as they choose.